You don't need to spend hours at the gym using fancy equipment when you work out with Jennifer Cohen. Here she shows a few simple workout moves that you can do anytime, anywhere. This particular workout focuses on strengthening the upper body and core, improves balance, and flattens the abs. Whether you are just getting started with your workout program or consider yourself a fitness pro, these moves can help you look and feel your best. Start on your knees with a weight in your right hand. Bend your body to the right side and lift your arm in one clean motion. The more you bend your body from your core, the more engaged your abs will be. Change sides. During the shoulder raise, your arm should be extended as far as possible and wrists should be straight and strong. Always remember to pull your belly button into your spine to keep your core engaged. To add a little intensity to this move, stand up straight with your feet together. Hold the weight in your right hand. Step out laterally with your right leg, and bend across your body with your right arm past your knee in one motion. Step back to neutral position standing tall, and finish the move with a shoulder raise. Reach your hand as high as possible. Continue on the other side. 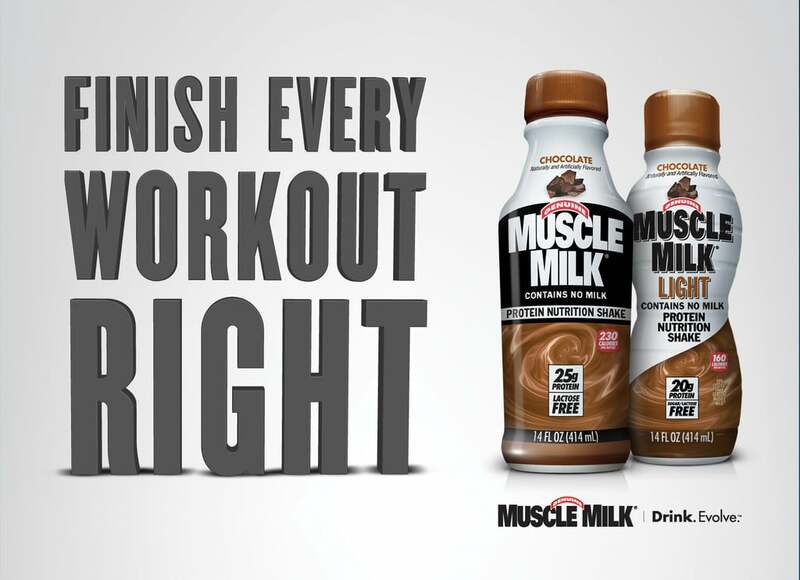 Don't forget to refuel after your workout with a Muscle Milk Light — packed with 25 grams of protein and 20 essential vitamins and minerals, this delicious protein-packed beverage will help your muscles recover and provide your body with sustained energy to stay on top of your fitness game.